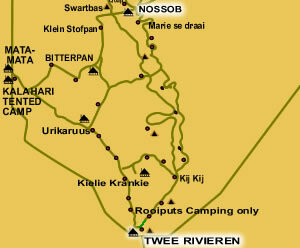 Overnight: Twee Rivieren chalets/lodges(air-conditioned and swimming pool). Meals: Light Lunch + Dinner. Meals: Breakfast, Light Lunch and dinner. 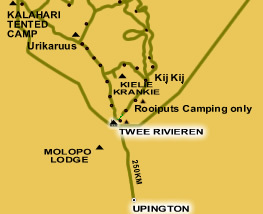 Wake up on hour before gate open and game drive direction North. 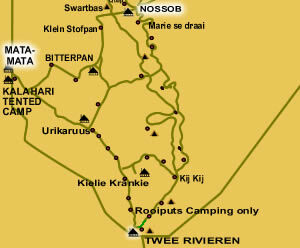 We visit the various waterholes along this route. We learn from the animal tracks in the sand roads what happened in the night. It is a good idea to wait at a waterhole to view the incredible animal and birdlife. 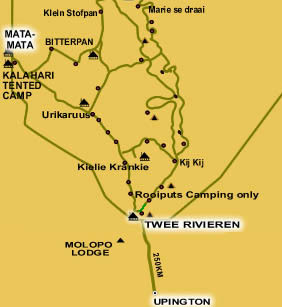 We do various game drives according to game reports/sightings.